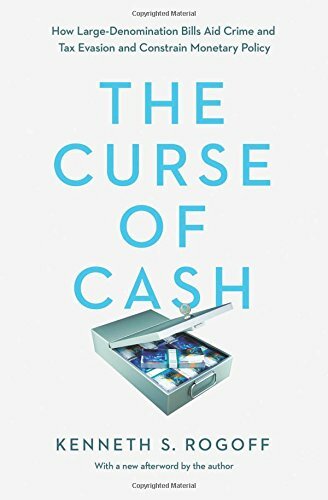 The Curse of Cash: How... Kenneth S. Rogoff Best Price: $6.77 Buy New $10.13 (as of 12:10 EDT - Details) The first point to note is that the WoC is not just about technocratic issues related to payments technologies: cashless payments systems are already both commonplace and spreading. On the cash vs. digital issue, sometimes cash is better (e.g., for small anonymous transactions) and sometimes digital (e.g., where the parties concerned have the technology and anonymity is not an issue). Instead, the core issue in the WoC is whether people should be compelled not to use cash, and this issue is of profound importance. In a nutshell, my argument is that the abolition of cash threatens to cause widespread economic damage – as an example, just look at what has been happening in India – and to have a devastating impact on many of the most vulnerable in our society. It also threatens to destroy what is left of our privacy and of our financial freedom: we wouldn’t be able to buy a stick of gum without the government knowing about it and giving its approval. We should also consider the impact that banning cash would have on vulnerable groups. To work as intended, everybody would have to have the digital technology and be able to work it. Well, many people don’t have that technology, and there are many more who would struggle to work with it and/or would be made very vulnerable if they were forced to depend on it. Consider the destitute, dependent for their survival on begging for spare cash on the street corner. Their very existence depends on cash, and it cannot reasonably be expected that such people could easily switch over to a cashless economy: many don’t have mobile phones and wouldn’t don’t know how to use them if they had them. And, needless to say, banning cash would cause great problems for the old. Those of us of a certain age in the UK and Ireland remember all too well the difficulties that decimalisation imposed on our grandparents. I didn’t like the decimal currency myself – the old coins were splendid – but I could easily adjust to it. My grandmother however had dreadful difficulties and never got used to it. Banning cash would cause similar problems for the old, and maybe worse. 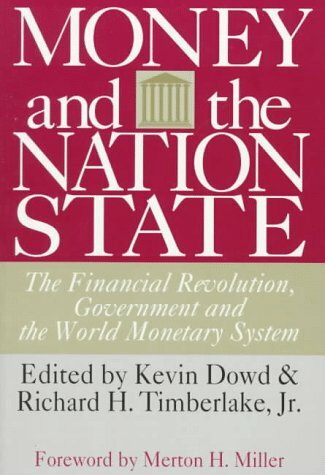 My point is that it is unreasonable to expect significant sections of our society – the most vulnerable sections, especially – to be able to adjust to the abolition of cash. Indeed, I think I can say with certainty that a large number of these people – the destitute, the infirm and the elderly – would not so much be disempowered but devastated by the abolition of cash. From this perspective, the proposal to abolish cash is simply cruel: it is hard to imagine any other single economic measure that could cause as much human suffering.